Figma is great for a Team of one, but if you'd like to step it up a notch and collaborate with other designers on projects, then you can create Teams. Starter Teams are free and have limited access to Editors, Projects, and Version History. 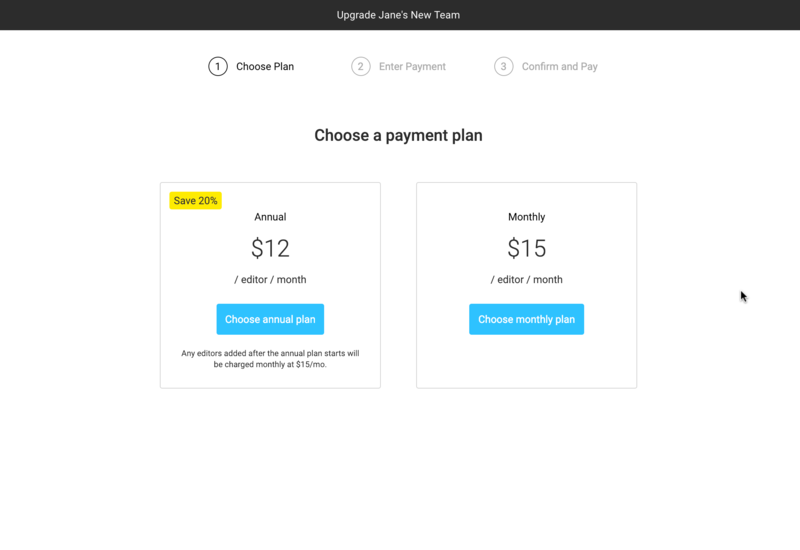 Professional Teams are paid and have unlimited access to Editors, Projects, Version History and other features within Figma. Learn more about Figma's plans in our Choosing a Figma Plan article. Note: Any Editor on the Team will be able to upgrade the Team to the Professional plan, this will also automatically make them an Admin of that Team. Click on the Team name in the left-hand panel to open the Team page. Locate the Team Settings section in the top-right corner. If you have more than one Editor in your Team, you will be given the option to review how many Editors you'd like to include in your plan. Click the Downgrade to Viewer link next to any Team Members you don't want to pay for. Caution: This will immediately remove their ability to Edit any files. If you selected the Annual plan, then you can also choose how many Seats you would like to pre-purchase for the year ahead. Click the Add more seats link to add additional seats to your account. Every Editor on your Team will require one Seat. 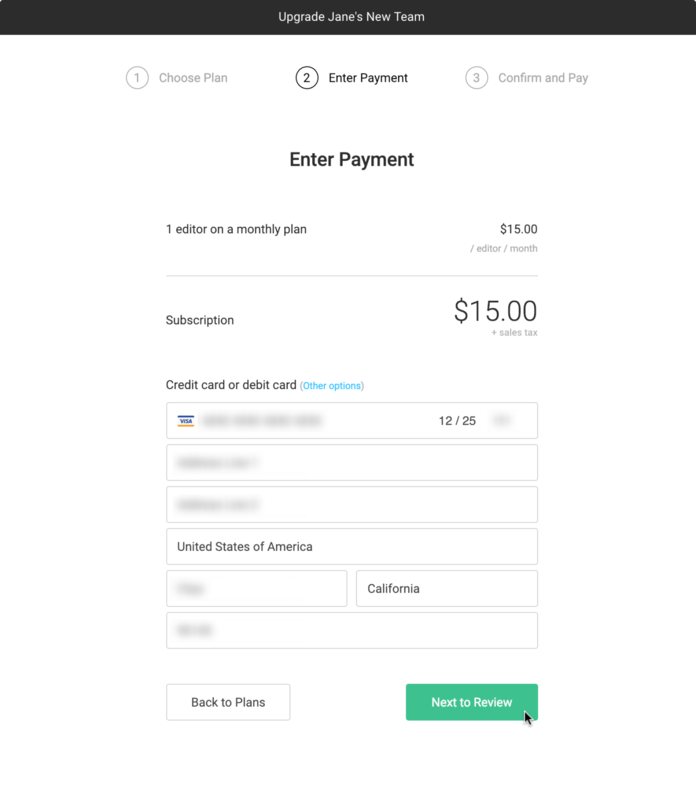 Lastly, you can add your payment details to complete the upgrade process. All major credit cards are accepted. Your 16 digit Credit Card Number, Expiry Date and CSV. Your Postal Address (this should match the address that your credit card is registered under). Click Next to Review to proceed. 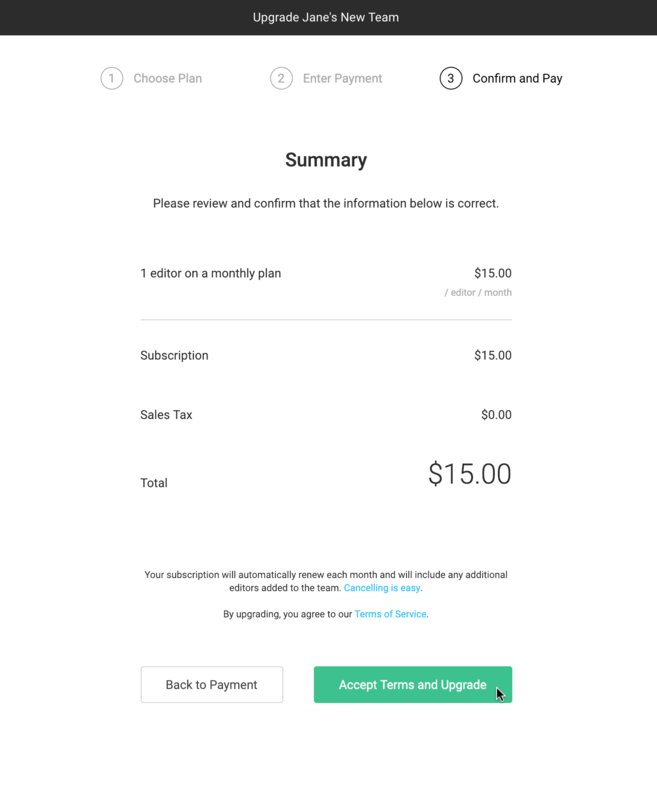 Read over Figma's Terms of Service. Click Accept Terms and Upgrade. Your card will be charged and your account updated immediately. You can add more Editors to your account at any time. When you add a new Editor to a Team that is billed Monthly, that Editor will be included in your next monthly bill. 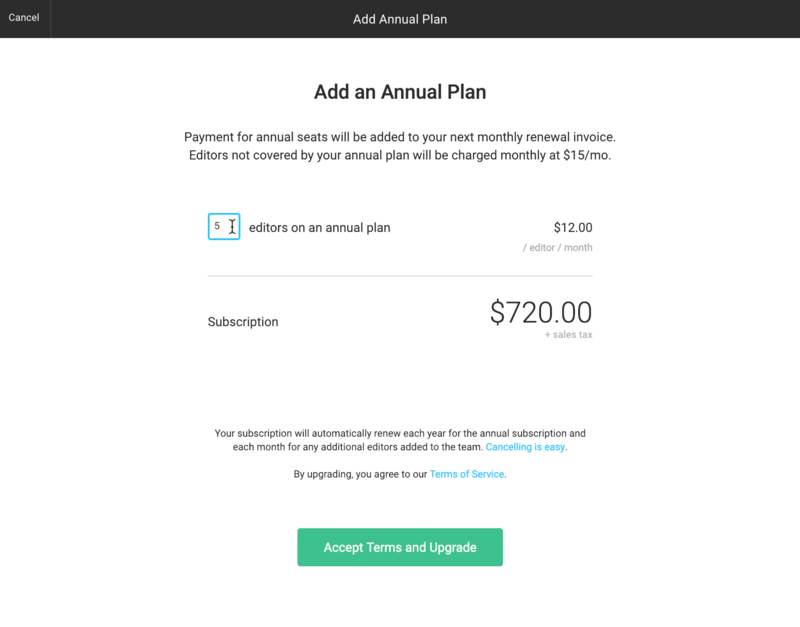 If you add or upgrade Viewers to Editors during the billing cycle of an Annual plan, you will be charged for those Editors monthly, at the full monthly rate. 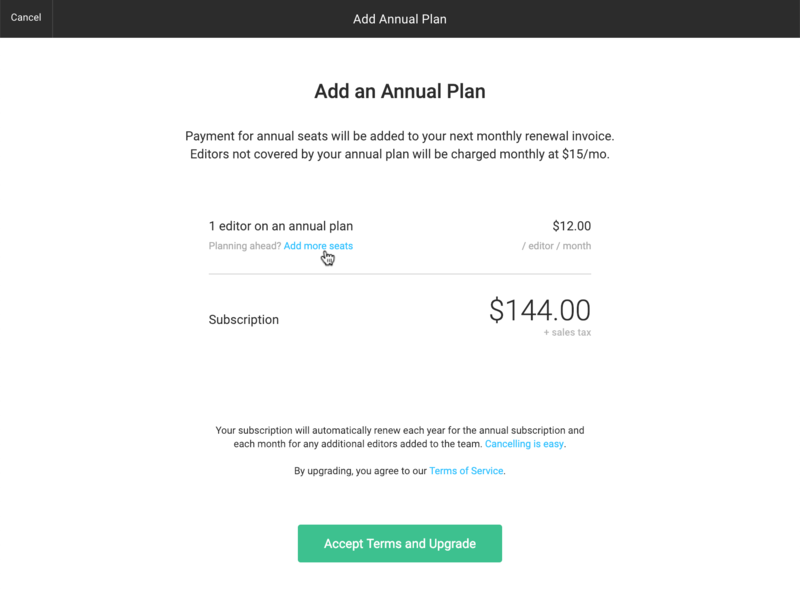 If you have an Annual Plan and want to purchase more seats, or convert a Monthly seat to an Annual seat, please contact Figma Support for more information.